The depth America’s craft beer culture has now become contagious and spread worldwide and created a contagious passion that affects all who tap into the wonders of great tasting beer. In turn, each individual craft beer drinker tends to identify with the community that continues to develop as craft beer’s popularity grows in his or her own way and to a degree that suits his or her lifestyle. The fact that people from all walks of life feel welcome in the craft beer community is one of the major factors in the steady growth that craft beer has been achieving in recent years. With this being the case…The following are some examples of how I’ve observed some of my fellow craft beer drinkers sharing and displaying their passion for craft beer…Before going into detail I should note that you (the reader) may consider yourself a blend of the roles and characteristics listed below. Following all available beer industry news – new brewery openings, brewery expansions, beer book releases, and especially release dates of “hyped”/limited release beers. Social Media – Many “All Out Beer Geek”s choose to share their passion for craft beer by creating and then posting beer reviews etc on a blog or vlog (e.g. a Youtube channel). Doing so takes a lot of effort, time, and dedication, especially when developing an audience/reader base. However, once a blogger finds his or her niche within craft beer social media; opportunities to expand his or her beer knowledge tend to increase by leaps and bounds. Beer Trading / Forums – In order to procure many of the hyped and limited release beers available he or she goes on beer trading forums to find people who are offering to trade away those sought after beers. Once a good amount of these beers are acquired they are usually placed in one’s beer cellar and saved for special occasions. That is unless you’re lucky enough to get more than one bottle of a particular beer, in which case you can drink one right away and age the other/s. Beer Events – In order to taste as many beers as possible “All Out Beer Geek”s attend as many beer festivals and beer bar events as possible. Craft Beer Enthusiast: This individual has a strong passion for everything involved with being craft beer drinker, but his or her enthusiasm doesn’t get to the level described above. In other words, the going “all out” or out of one’s way is toned down a bit. Beer Knowledge – Over time one’s thirst for beer knowledge will go up and down in intensity, but overall many individuals in this group are known for sharing their knowledge with friends and family. By doing so they hope to either convert them from drinking mass-produced lagers to craft beer or to inspire them to develop a similar thirst for beer knowledge. 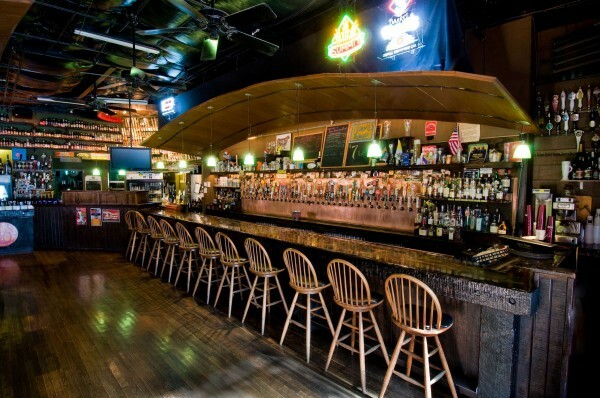 Beer Bar Regular – Some of the most knowledgable craft beer drinkers are those who regularly grab a pint or two at their local craft beer bars. They may go there for special events, but they don’t mind grabbing a seat at the bar and drinking one of their go-to IPAs etc. Experiencing Craft Beer – Craft beer enthusiasts regularly seek out new ways to experience what craft beer has to offer. For example, one may experiment with beer and food pairings, hold a tasting at his or her home, or attend local beer events to converse with like minded beer drinkers. Homebrewing – Eventually many craft beer drinkers decide it’s time to brew their own beer. Although one’s first batch of beer may not always turn out as tasty as expected. Once one successful beer is brewed, the thirst for more advanced brewing knowledge and methods will in most cases continue to intensify over time. Craft Beer Appreciator – Those in this group have tasted enough craft beers to gain an appreciation for what craft beer has to offer, but don’t share the passion that the two above groups possess. Reason/s For Drinking Beer – Having tasted a considerable amount of craft beers, individuals in this group usually know which beer styles they prefer. However, when it comes to situations such as enjoying a few beers after a long day at work they don’t mind picking up some mass-produced beers to “take the edge off”. In others words, at times alcohol content may trump reaching for a refreshing flavorful craft beer. Acquiring of Beer Knowledge – Because their motivation to learn more about beer isn’t as intense; their knowledge increases as they hear about and try new beers or when they have an eye-opening craft beer experience (e.g. while drinking at a beer bar or local beer event). Part of the Community? – While the friends etc. of those in this group may consider themselves part of the two groups discussed earlier in this post. Individuals in this group may not identify as much with the community feel and culture that craft beer promotes. Some may even have mixed feeling about individuals who have taken their passion for craft beer to a higher level (e.g. those that drink exclusively craft beer or come off as haughty when discussing drinking choices). A Discerning Palate – While many craft beer enthusiasts hope to convert their friends and family to drinking exclusively craft beer. The first step for some may be spending some time in this group i.e. being able to recognize what distinguishes the flavor profile of a craft beer from a that of a macro-lager. Now the question is…Where do you fit in amongst the above three groups and their characteristics? Again you may consider yourself a blend of the characteristics discussed above, but I hope that by laying them out in this blog post you’ll gain a deeper understanding of and appreciation for your enjoyment of craft beer. I personally consider myself a blend of the first two groups. Please feel free to let me know what you think of this post. Especially because you may define what I’ve described in it differently and in turn open my eyes to new perspectives on craft beer. I and my collegues wrote a report about the presence of Heneiken, Guinnes and Peroni on social media. You should take a look!